Included home & rental history, eviction, criminal records and credit history. BEGIN HERE - Enter your first and last name to start. Only run your own information. 20+ years, millions of background reports & counting.. The Dashboard gives you a quick snapshot of your rental and eviction history, with all the same reporting that a landlord will see when they run their rental history report on you. It displays in four sections which are each assigned a unique score: Home & Rental History, Eviction History, Criminal History, and Credit History. Have you moved around a lot in the last few years? It might be hard for you to remember exact addresses of where you lived many years back. Incomplete or mistaken home and rental history on an application doesn’t look good, and can raise questions about your reliability or longevity. Having your home and rental history report in advance, you’ll be prepared with the answers you need before you fill out an application. An unlawful detainer is a court order filed by a landlord in an attempt to either evict or collect money. If there is an eviction history in your past, you’ll need to be prepared with an answer, since landlords order these same types of reports. Any court eviction records (i.e. unlawful detainers) found in your name are listed under this section. A misdemeanor or a felony appearing on your criminal history report is easily discoverable, and can cause a potential landlord to reconsider you as a tenant. If you’re not sure what’s in your criminal record history, seeing all the detail we provide in the report prepares you to explain the circumstances - and any mitigations - to your landlord. Getting your credit in order is one of the best ways to make a good impression on landlords. 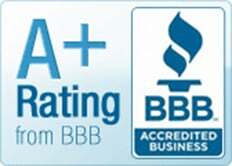 Ordering your own credit history background report through us will NOT affect your credit score! It's called a "soft" check. You will receive not only your credit score, but an entire summary of your borrowing and consumer credit history over your lifetime. Landlords are becoming increasingly more vigilant about the risk factors associated with renters' backgrounds. Very Important Facts That Will Change Your Thinking About Your Rent & Eviction Background Forever! But first, imagine for a moment you've just found the perfect place to rent. The apartment is affordable, it's close to work and loved ones, it's in a decent area, and it's simply everything you have been looking for. You fill out and pay for your application and wait for the good news in excited anticipation. Then, the landlord calls a few days later and tells you your application has been rejected. Or worse still, they don't even bother to call and you have to hound them to eventually find out the bad news for yourself, often with no more reason than they've found a suitable renter already. How would you feel? Pretty disappointed, right? And that's probably an understatement. Fortunately, there's plenty you can do to literally set the record straight, so keep reading! We Put the Power in Your Hands! My Rental History Report is geared towards YOU, the renter, not the landlord, like most rental and eviction verification services. Sadly, many prospective renters have no idea there are negative reports on their personal background records until it's too late. Landlords and property managers have access to a multitude of different sources to trace and verify your personal information. Naturally, you can only take corrective measures if and when you're aware of any negative records, which is why you need My Rental History Report. It is your right to know and have access to all this information too, which is why My Rental History Report is designed around YOU and is exactly what you need, when you need it. My Rental History Report gives you all the information, and the tools you need, to fix your rent and eviction background errors. Nowadays, even the tiniest blemish on your rental or eviction history can disqualify you as a potential tenant. My Rental History Report is towards YOU, the renter, not the landlord, like most rental and eviction verification services. Sadly, many prospective renters have no idea there are bad reports on their personal records until it's too late. MyRentalHistoryReport.com has 20+ years of experience and we've delivered over 1 million reports to date! 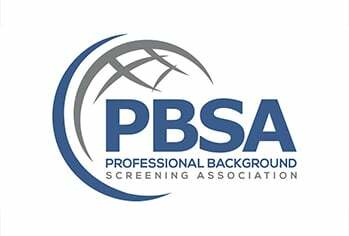 *Prices are based on an average individual report cost from other background screening companies. Find and fix any incorrect information before you file a rental application, knowing it will help you secure the rental property you desire. Having your personal information correct and up to date also gives you extra peace of mind. Enter your details into our eviction search to find out if you have any eviction records. An eviction on your record is not ideal, but it doesn't necessarily disqualify you. Knowing exactly what's on your rental history and being proactive about it will help. Running your own credit report does not affect your credit score, so get instant online access to your easy-to-read credit report, which also reflects your credit score. Know your credit standing before your landlords do. Find out if any criminal records appear on your report with our multi-state criminal search. Make sure there is nothing that shouldn't be there, and check to see if that expunged criminal record has been properly removed. My Rental History Report provides you with the tools to proactively investigate and challenge erroneous entries on your personal, credit, criminal and rental profiles, and will guide you on how to begin the process. Correct errors on your report before spending time and money filling out and paying for applications that may be rejected. Forewarned is forearmed, so be sure to check your details right away and avoid any nasty surprises down the line.